This is a page from my art journal drawings. I start off my day filling the day with text, writing down my disappointments and dreams. Then I draw and over the text, a subconscious visualization of the thoughts filling my head. The art journal pages are like a spellbook, spells that are gain further depth when they leave my reality and enter yours. 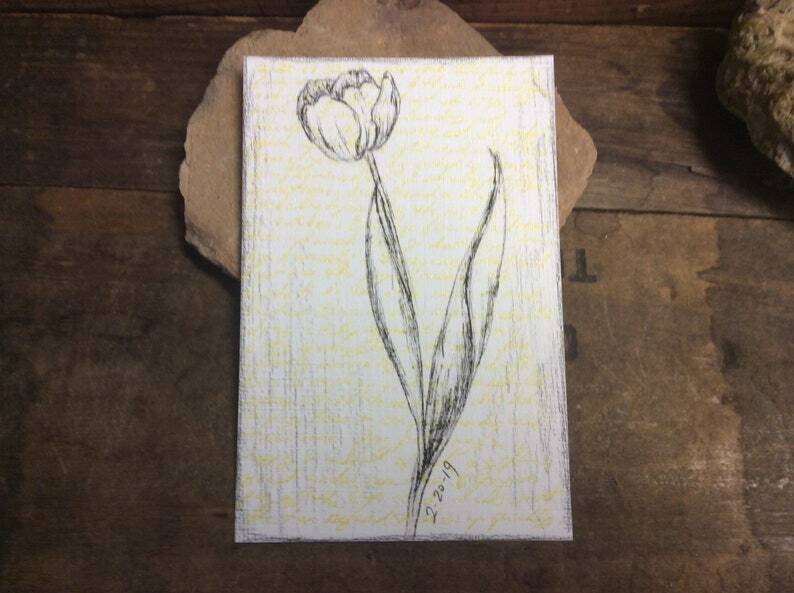 For this series, I drew tulips that I'd forced indoors this winter. The page is an original pen and ink drawing on heavy textured paper, unframed, measuring 8-1/2 by 5-1/2 inches.